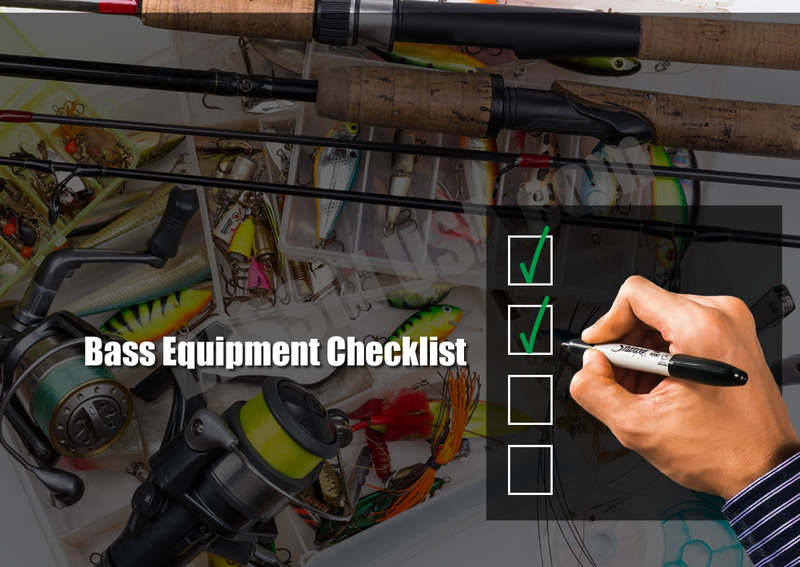 If using fishing rods that are sectional, the joints should be checked for stress cracks. These fine hairline cracks appear near the joints and run along the length of the section. If found, take the complete rod to your local tackle store for repair. These repairs are usually quite inexpensive and certainly less than the purchase price of a new rod. Check cork constructed handles for separation (often occurring near the section where the reel grip is located or where the handle meets the actual rod). This requires glue and a vice, or similar grip, to hold the pieces together. If in doubt, again, take it to your tackle store for repair. When all is well, wipe the rods down with a damp cloth (do not use a detergent). Dry the rods carefully with paper towels and, if the rods are sectional, take an old piece of soap and wipe the outer and inner sections near the joints. Try leaving a light coating of soap on them ensuring a tight join when the sections are reunited. It also makes separation easier at the end of your fishing day. Fishing reels are fairly simple to maintain. When removing the screws, make sure you lay them and other components in the order they were removed and replace them in the same order. If a picture of the reel from the manufacturer is not available, I draw a rough sketch and lay the pieces next to the drawing. I then know where everything goes! There is nothing worse than finding a piece of the reel after closing it up! When the reel is open, the gear or gears are exposed. Just like an engine, these need lubrication. I use WD40 or light grease. Apply a generous amount inside the gears and handle area. When closing up the reel, do not over-tighten the screws; this can affect the performance of the reel. Wipe off any excess oil or grease and again clean the outer casing with a damp cloth and dry with a paper towel. Now is a good time to change your line. I know so many people who use the same line year in and year out. It is a bad habit and will eventually let you down. I have said this many times before and it is worth repeating. Fishing line will become brittle over time. It will also retain memory if left on a reel too long. You will lose fish and ruin a day’s fishing if you do not care for the most important item that connects you to the fish! Weekend anglers should remove old line every 3 months. If fishing in a professional environment, you should change the line every week. Although everyone has his or her preference, I sometimes change line daily. Remember the awesome responsibility given to your line. Changing the line is better than a break and loss of a trophy fish. Now, let’s look at clothing. Regardless of the weather, proper outdoor attire is of vital importance. I have fished on warm summer days and suddenly been caught in a torrential downpour. Recently, on the U.S./Canada border, I was caught in a thunderstorm. By the time I found shelter, I was in the first stages of hypothermia! So, a rain suit is a must. A small inexpensive jacket and pants will protect you until you can find shelter. Be warned; it could save your life. If you own an old suit, check the seams for tears. If found, patch them or replace them. There are several kits on the market for suit repair (they can be used for waders also). The kits can be found in most marine outfitters and, surprisingly, in some pool supply stores. The bags and boxes used for tackle should be clean and dry. After a long season, I empty the contents, wash the inside of the box or bag and dry it. Next, lubricate the zips on a bag with light oil- WD 40 is perfect for that purpose. When working with a plastic tackle box, an old toothbrush gets into those hard to reach places and gives the box a thorough cleaning. Lubricate the hinges with more WD 40. Next, I place the fishing tackle back into the box and check that all hooks are sharp. Blunt hooks will lose you fish. I was once fishing in a BASSMASTER tournament where I lost 3 big smallmouth bass before realizing my hook was not sharp! Make sure there are no pieces of line still attached to a lure. Leaving pieces of old line on a lure can waste precious time, especially when changing a lure after a fishing situation has changed. I have found that an old pair of nail clippers is the best tool for the job. Weights and smaller items should be stored correctly in dry containers and tools should be cleaned and polished. With conservation and catch and release in mind, vital seconds will save the life of a fish if your hook remover or pliers are in working order. If you find your lures need some attention (i.e. paint chipped or broken/blunt hooks), go to a local hobby store and buy small tins of enamel paint for about a $1.00. Be sure it matches your favorite lures. It will give them a new lease on life. Hooks can be easily replaced with a split ring divider and a pair of long-nosed pliers. Again these tools are readily available in hardware and hobby stores. Always replace spinnerbait and buzzbait skirts at the end of the season. I see so many people take them out of their boxes and find the skirts “glued together” because they were stored wet and the rubber emulsified in the damp tackle bag or box. These are now readily available due to public demand in all good tackle stores. Just slip off the old one and replace it with the new skirt. Finally, remember to store all rubber worms and similar in plastic bags, keeping colors separate. The substance of most rubber baits will react to hard plastic boxes and “burn” the two when they touch resulting in a nasty, sticky mess and a ruined tackle box.